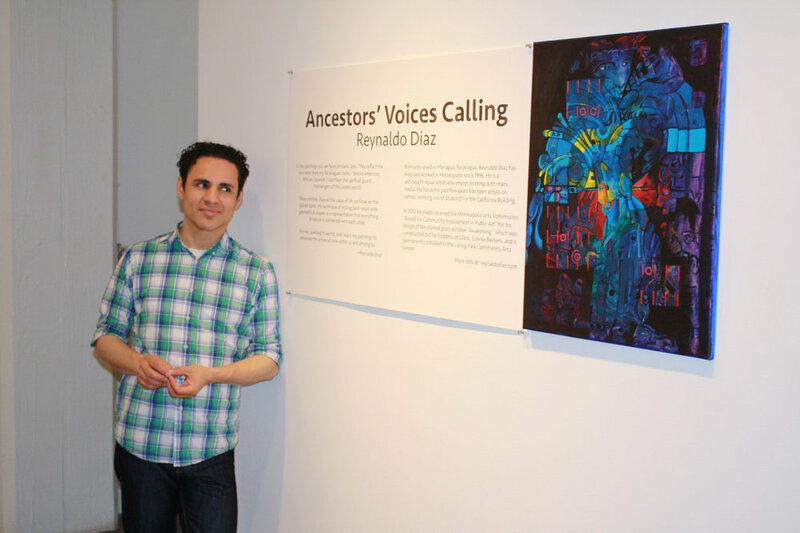 My art is inspired by music, by emotions, by history and by my ancestral roots of Central America. In recent years I’ve explored geometric forms, color and spiritual connections inspired by Mayan, Aztec, African and Spanish influences. My ethnic background is a melting pot of all these, and my art reflects this inspiration. While I am self-taught, I have studied the work of many masters, particularly Kandinsky. My art has a strong connection to my love for music and nature. I’ve never been one to just “paint a pretty picture.” My work comes with many layers, which reveal themselves to the viewer, especially those who take time to absorb these intricacies. It’s hard for me to put words to what I actually create. In a sense, my paintings are my language. You will find hints of faces, eyes, movement, nature and other forms coming through my newest works. As I move forward in my creative life, I want to find ways to more effectively meld my visual creations with music. I believe paintings include rhythm, timbre and tones. © 2018 Reynaldo Diaz • All Rights Reserved.